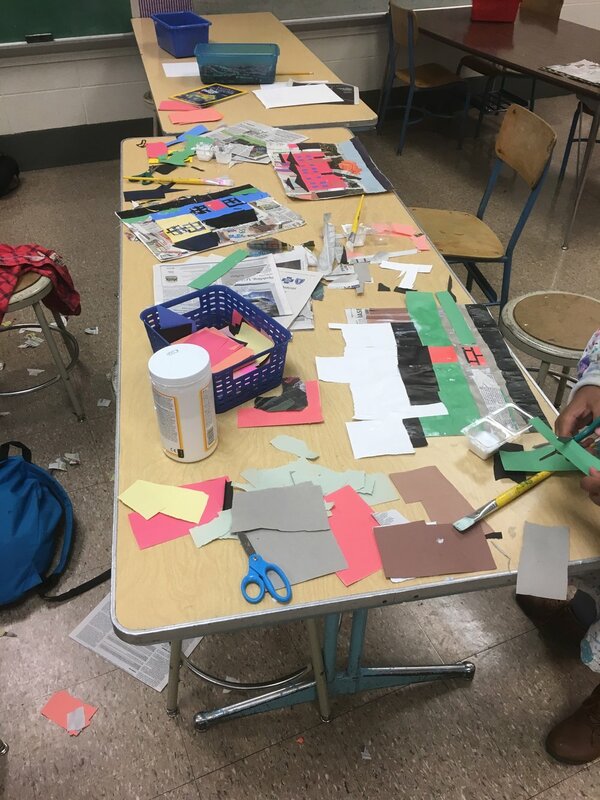 Here are more personal photos of when CFAC instructor Julia had King Elementary 4th & 5th-grade students look at Romare Bearden's collage paintings, then discussed how to make a landscape of their home. They talked about historical figures and heroes, and what those heroes would be wearing and doing if they lived in their neighborhood. This is mainly a collage project but students were allowed to expand into other materials once they covered the whole page. How Would History Play in Your Neighborhood? CFAC instructor Julia had King Elementary 4th & 5th-grade students look at Romare Bearden's collage paintings, then discussed how to make a landscape of their home. They talked about historical figures and heroes, and what those heroes would be wearing and doing if they lived in their neighborhood. 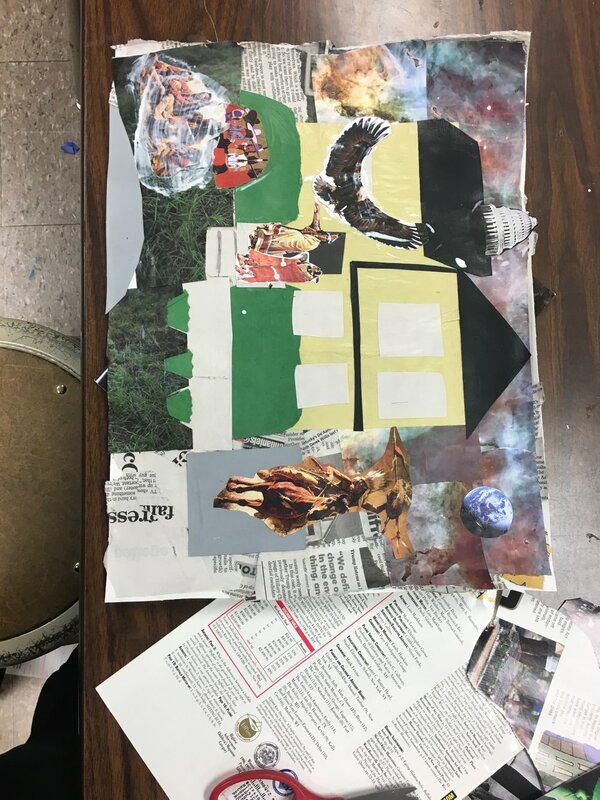 This is mainly a collage project but students were allowed to expand into other materials once they covered the whole page.